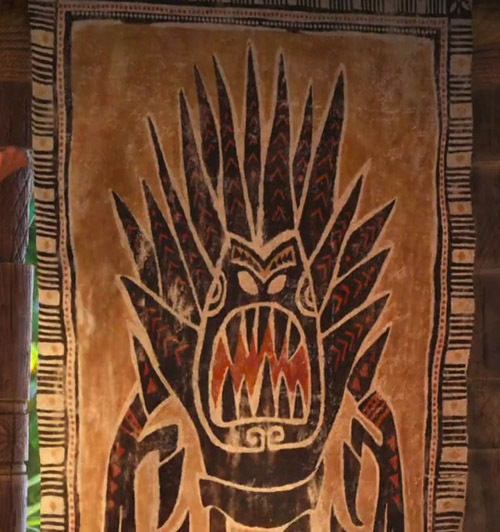 A disguised version of Flash, the sloth from Zootopia can be seen in the Realm of Monsters. 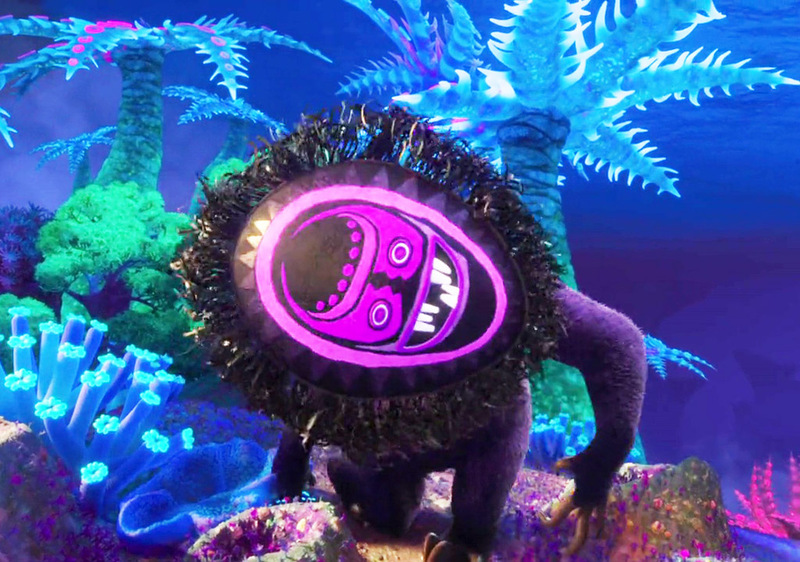 The Magical Golden Flower from Tangled which stops people from aging can be seen twice during the movie. 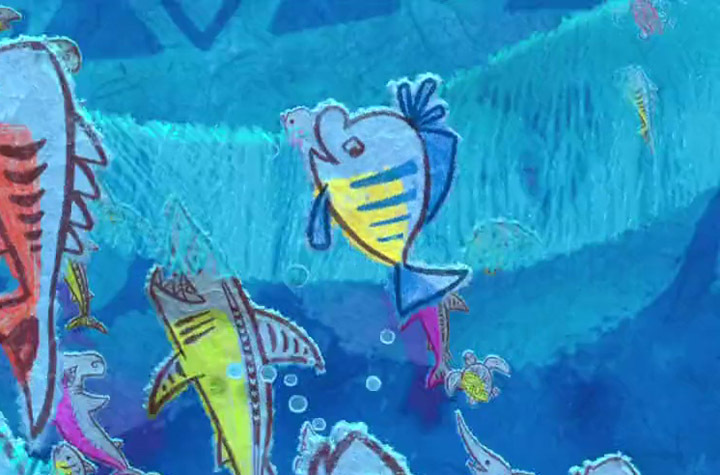 Flounder from The Little Mermaid can be seen when Maui is singing the, “You’re Welcome” song. 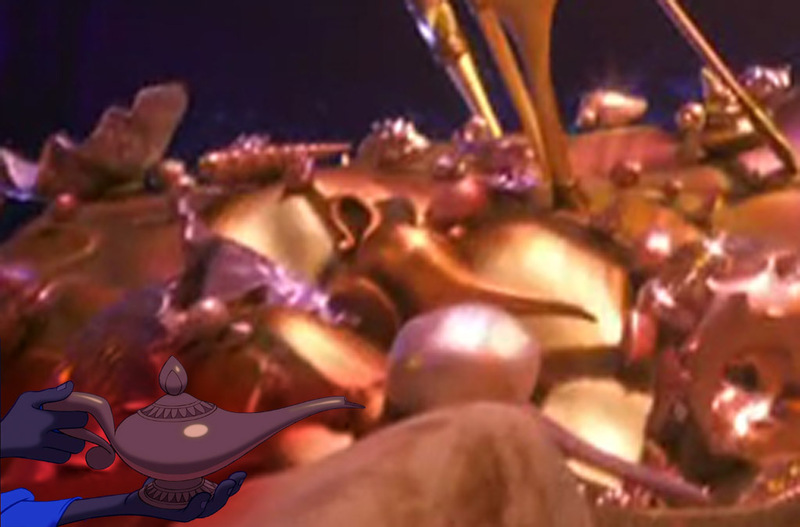 Aladdin’s magical lamp can be seen during a scene when Tamatoa is singing “Shiny”. 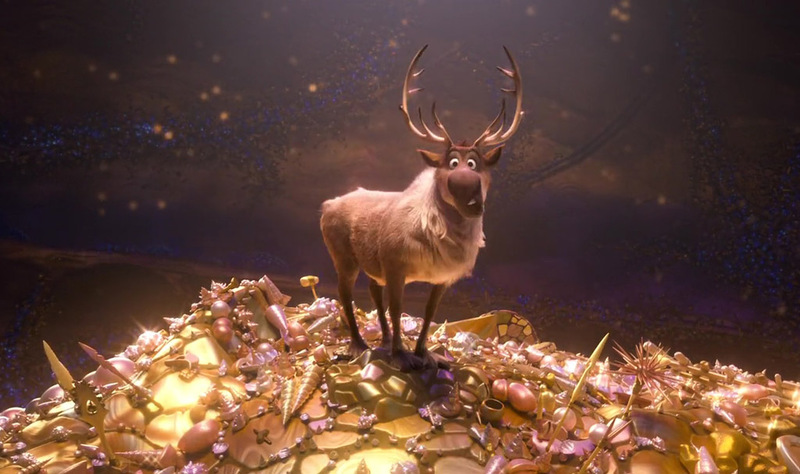 Sven, the reindeer from Frozen, can be seen very briefly during the scene where Maui first gets his magical fish hook back. 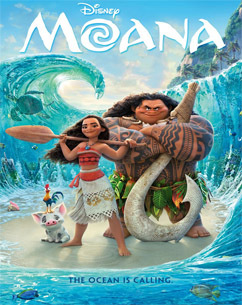 The directors make a two appearances as part of the movies props. 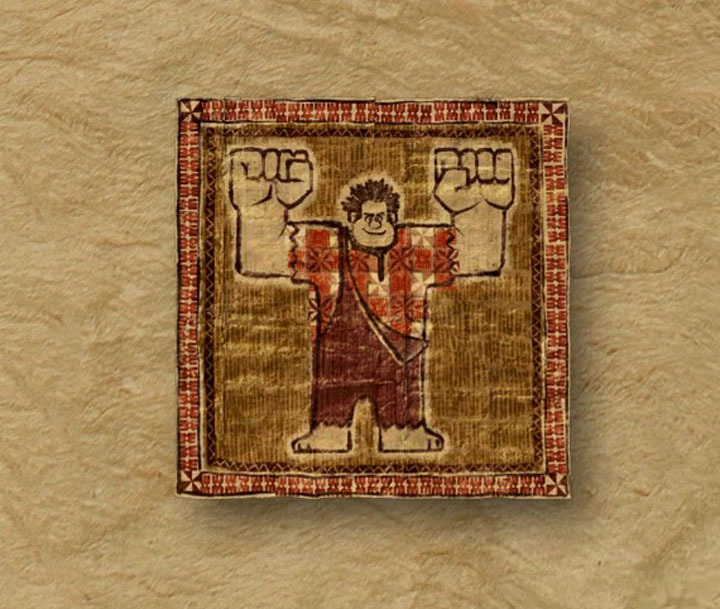 A drawing of Ralph from Wreck-It-Ralph can be seen during the end credits in preparation of Disney Animation Studios next upcoming film, Wreck-It-Ralph 2. 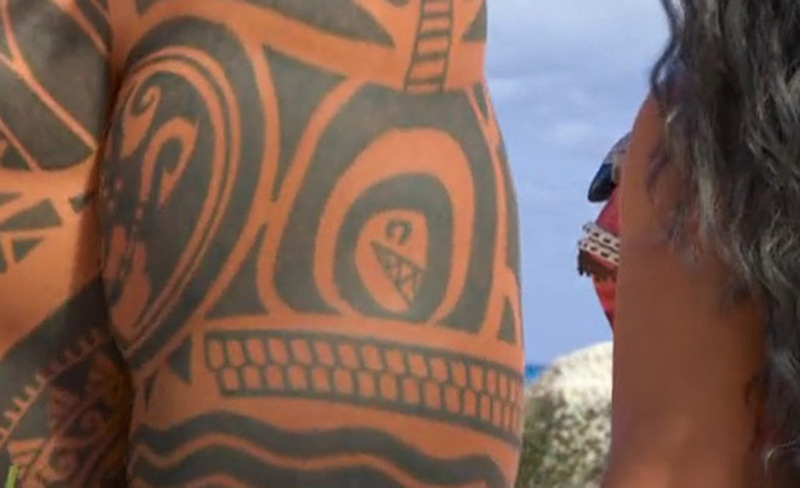 Maui has a tattoo of a Chain Chomp, a recurring enemy in the Mario video game series, on one of his arms. 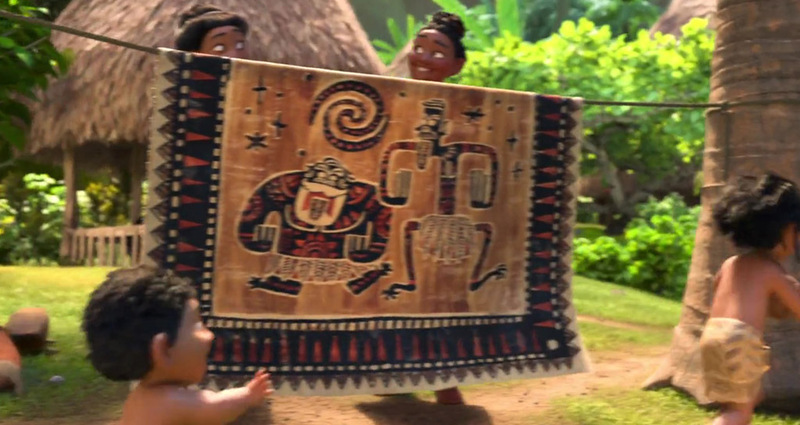 The giant ice monster, Marshmallow appears in the form of a tapestry in the beginning of the movie. 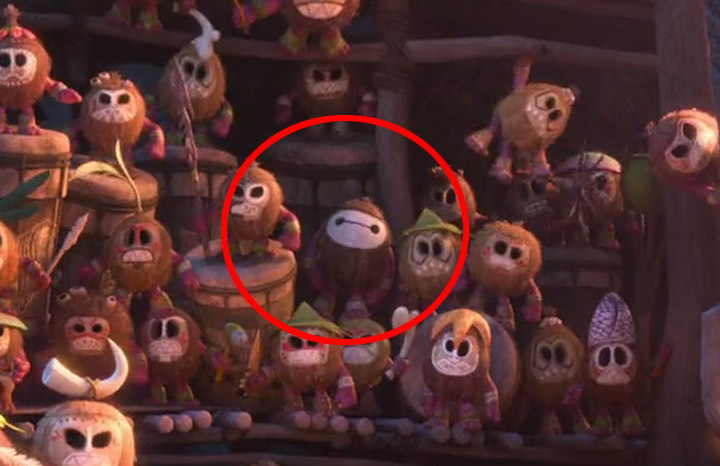 During the scene where Moana jumps onto the ship to save Heihei, one of the pirates can be seen wearing a Baymax mask.